All of our Nortel Telecoms repair team members are top-level former Nortel employees. Comtek’s Repair team are familiar with the complete range of DMS products and have test rigs for all Nortel DMS variants. 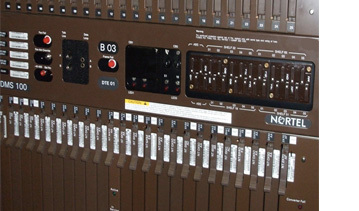 Comtek’s knowledge of the installation, commissioning, maintenance and repair of Nortel telecom products is unsurpassed in the repair industry. Please contact us to discuss how we can extend the working life of your telecoms infrastructure.